In collaboration with Source Gaming, we’re bringing you these weekly recaps of the various articles, features, podcasts, and other content published during the past week on their website. The goal of those weekly recaps is for you to discover some quality content about various topics, with obviously a focus on Nintendo platforms. If you have any comments or suggestions, please make sure to let us know in the comments below! Source Gaming presents: The Month of May-lay! For May, Source Gaming has launched a project called The Month of May-lay. 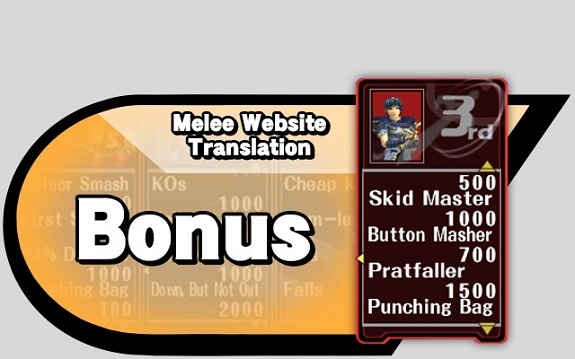 During May, they will post plenty of translated material from the official Super Smash Bros. Melee website (with at least one post a day). 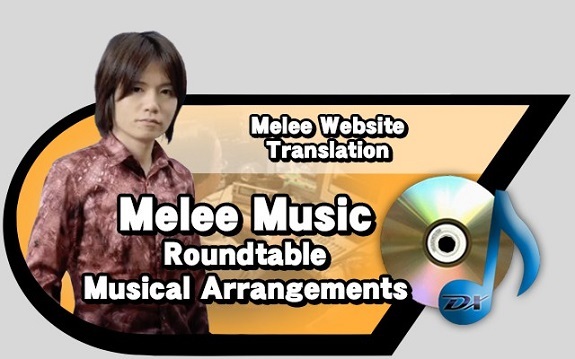 That includes an 8-part roundtable Sakurai held with the music and sound directors, and more. You can learn more about the Month of May-lay by clicking here! The Eleventh article for the Month of May-Lay is about a fourth type of battle, introduced in Super Smash Bros. Melee: Bonus. Masahiro Sakurai initially didn’t want to talk about it, because he thought it might be cut (it wasn’t in the end). It’s a mode Masahiro Sakurai planned himself… even though as of writing this post, he still wasn’t really sure how to to play it! 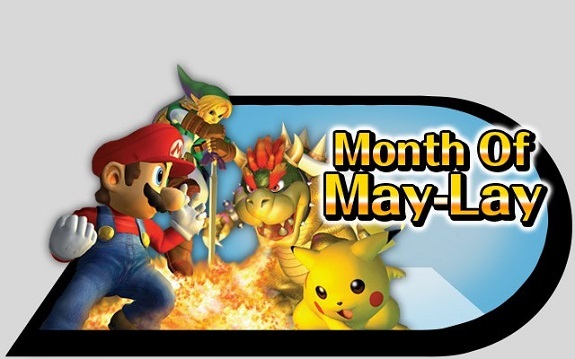 The twelth article for the Month of May-Lay is about Special Melee, and its many game modes: Camera Mode, Stamina Mode, Super Sudden Death, Giant Melee, Tiny Melee, Invisible Melee, Fixed Camera, Single-Button Mode, Lightning Melee, and Slow Melee. It’s definitely one of the most unique aspects of Super Smash Bros. Melee! Click here to check out the translation of this post! 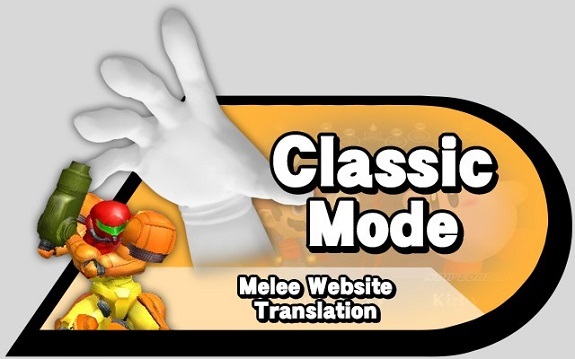 The fourteenth article for the Month of May-Lay is about Classic Mode, which is by far one of the most well-known modes in Super Smash Bros. Melee. 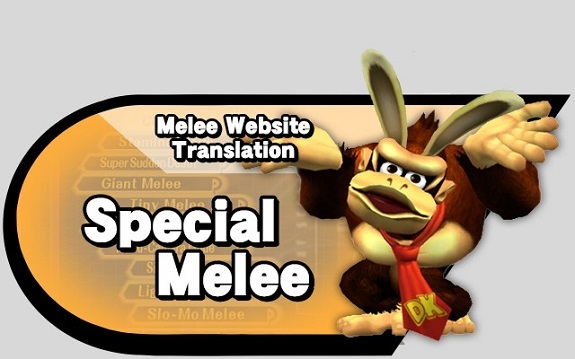 And funnily enough, Masahiro Sakurai was actually quite late in introducing it! In this post, he talks about Regular Match – Classic, Break the Target!, Snag the Trophies!, Race to the Finish!, and the difficulty levels. The fifteenth article for the Month of May-Lay is about the Event Battles. 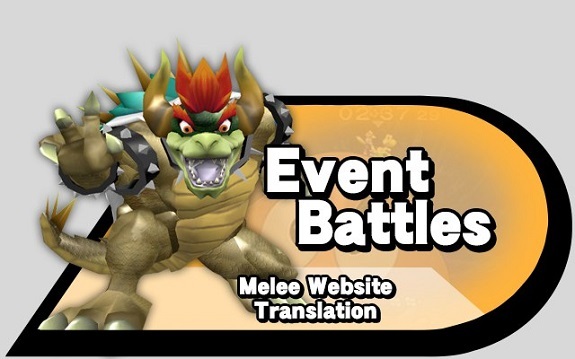 Introduced in Super Smash Bros Melee, they feature battles which are either based on the source game (such as Link vs Ganondorf), or other special events. In this post, Masahiro Sakurai introduces some of the event battles to be found in the game, and gives additional details about this Single Player mode. The sixteenth article for the Month of May-Lay is about Camera Mode. 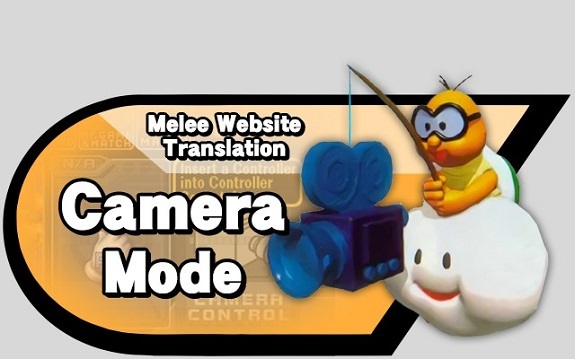 It’s another feature introduced in Super Smash Bros. Melee, and it allows players to take various screenshots. 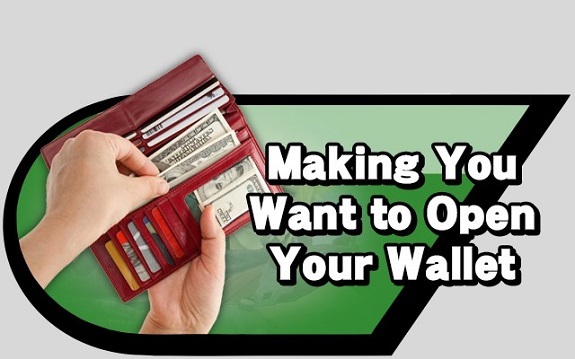 In this post, Masahiro Sakurai explains how this feature works, and what you can do with it. 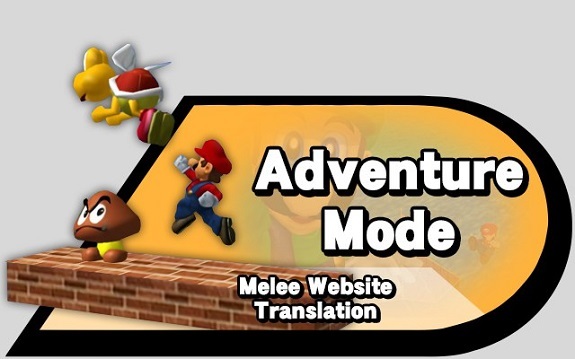 The seventeenth article for the Month of May-Lay is about Adventure Mode. This mode is quite different from Classic Mode, starting with the stages which are not randomised (that being said, you do get alternate stages if you fulfill certain conditions). In this post, Masahiro Sakurai introduces this new game mode. 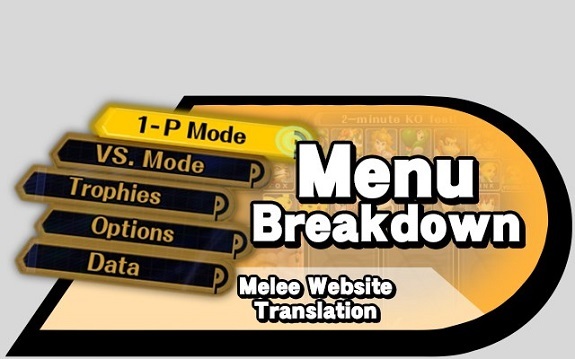 The nineteenth article for the Month of May-Lay is about… the Menus of Super Smash Bros. Melee. It’s actually a pretty simple and straightforward post! This one is about the Chorus and Orchestra. You can click here to read Part 1 (if you missed it), and here to read Part 2! 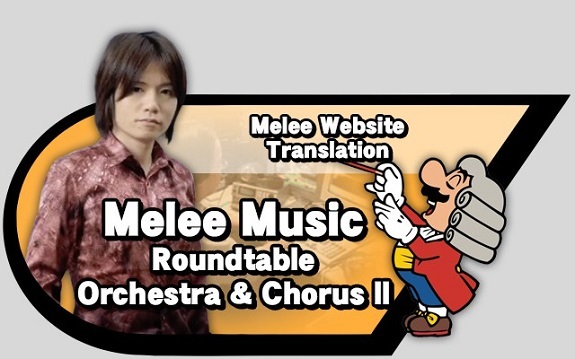 The thirteenth article for the Month of May-Lay is Part 5 of the roundtable Masahiro Sakurai held with the music and sound directors. This one is about one of the most well-known and appreciated aspects of the Super Smash Bros. series: its arrangements. As you can imagine, getting the music just right wasn’t that easy. For example, the music for the Temple stage (Zelda) took about a month to complete! You can check out this part of the roundtable by clicking here! 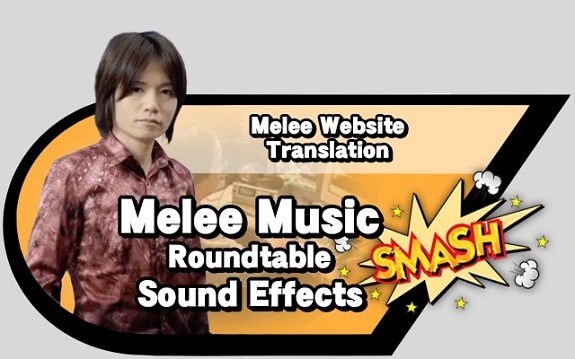 The eighteenth article for the Month of May-Lay is Part 6 of the roundtable Masahiro Sakurai held with the music and sound directors. This one is about sound effects, an element which is as important as many others in a game. Masahiro Sakurai and Tadashi Idekami do (almost) all the talking, due to the latter doing pretty much all the work (with little direction from the former). Click here to check out the translation of this part! With DLC, a developer/publisher generally has several goals: make sure players keep playing the game they bought, ensure the revenue stream doesn’t die too quickly, and in some extreme cases, recover the costs of developing the base game. But there’s one thing you have to do no matter what: convince players they need the DLC. And the DLC for Super Smash Bros. for Wii U and Nintendo 3DS was pretty succesful (as you can see for yourself in this post). But how did Nintendo / Masahiro Sakurai did it? It’s actually pretty simple: they managed to get fan excited. This article takes a look at how the DLC was made to make sure that fans would gladly open their wallet to buy it. A couple of weeks ago, Source Gaming launched a big survey about Super Smash Bros. for Wii U and Nintendo 3DS, and more specifically the DLC and its reception among fans. If you haven’t checked it out yet, you can do so by clicking here. 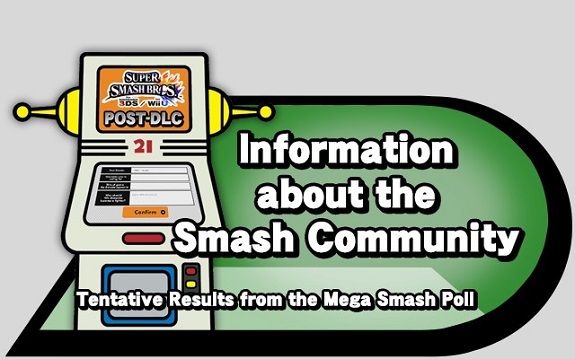 On Sunday (last week), tentative results from that Mega Smash Poll were revealed: you can click here to check them out! This featured video is about Star Fox 64, and more precisely its beta. Ever wondered what this iconic game, one of the most popular on the Nintendo 64, looked like before it was released? Then you should definitely check it out for yourself! Dream Smashers is a series of article by the Source Gaming team, but also visitors, who write about characters they would like to see in Super Smash Bros.. They don’t just talk about the characters themselves, but also detail what they would be like in the game, what kind of attacks/moves they would have, and more. If you’ve ever wondered where the stats in those articles come from, you should check out this article. 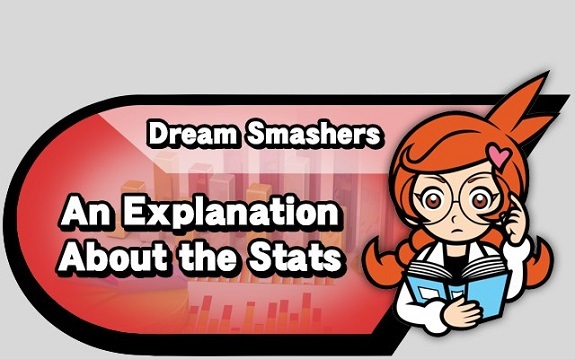 You will also learn about a pretty handy website for Super Smash Bros. for Wii U / Nintendo 3DS stats! Nintendo is making Movies and Anime!? This week, Tatsumi Kimishima revealed in an interview with the Asahi Shimbun that Nintendo had plans for film production (make sure to check out our translation if you haven’t already!). In this video discussion, Nantendo and Spazzy D discuss those very plans, including which IPs they think would be best suited for a movie or an anime series. 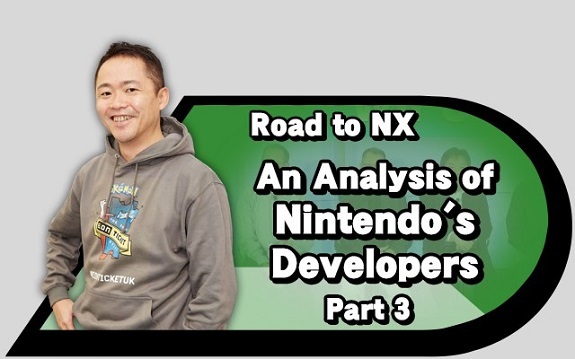 In this third and final part, Nantendo takes a look at the various “second party” developers (who are technically independent, but work almost exclusively with Nintendo) who might be working on games for the NX platform. AlphaDream, Arzest, Game Freak, Good-Feel, syn Sophia and more are assuredly working on something… but what? This article also talks about other developers/publishers who have collaborated with Nintendo in the past, and might do so again in the future (such as PlatinumGames or Koei-Tecmo, or even SEGA). I had no idea Sakura liked the Temple theme that much.